A super cute Mother's Day card. 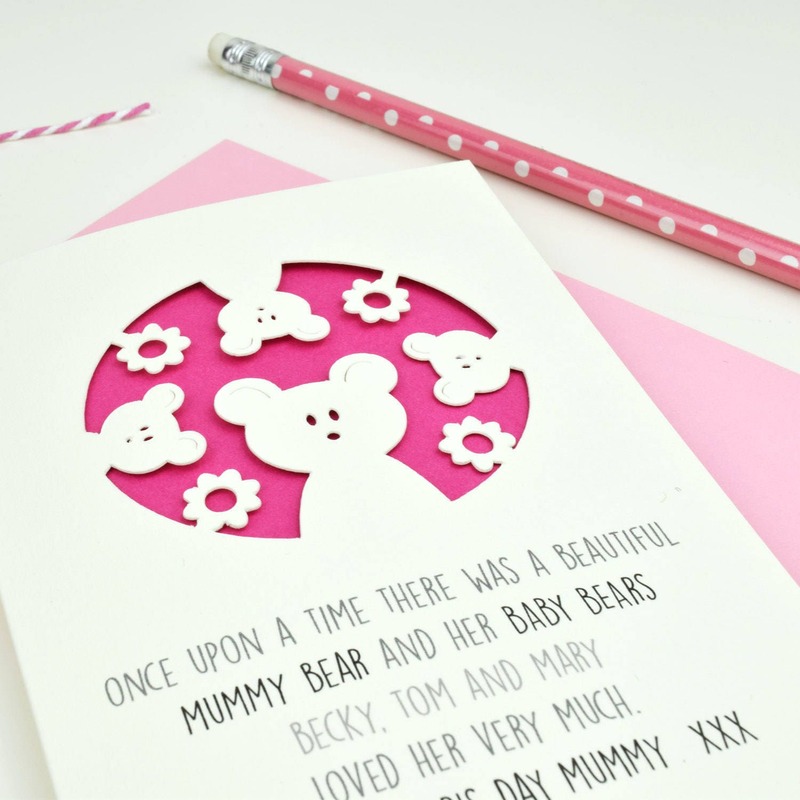 The card pictures a mummy bear and her baby bears delicately cut out of card with a vibrant pink insert to show the intricate details in the design. A lovely card for mummy on mother's day to treasure. 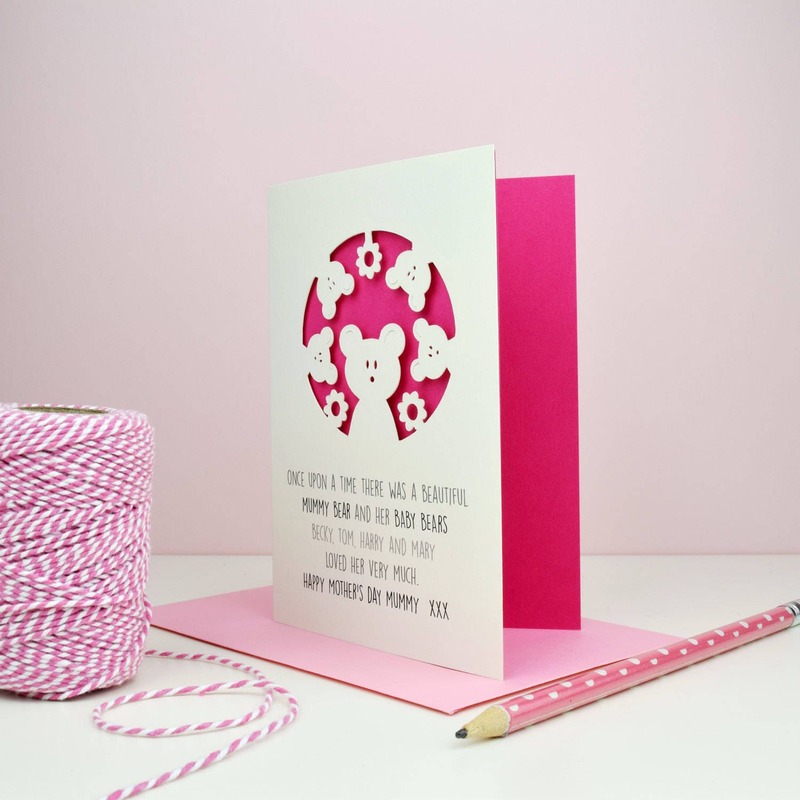 The card is made from 100% recycled art board, It is supplied with a baby pink envelope and the inside is left blank for your own message.